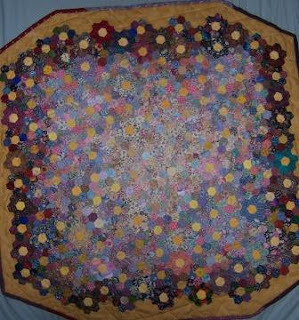 This is my little "Baby Hex" quilt I made a couple of years ago in case either of our children decided to bless us with a baby one day. Well GUESS WHAT?? Our older daughter and her husband are expecting their first child (our first grandchild) and we are all very excited. "Baby Hex" is made up of 1,253 - 1/2inch hexagons. It is all hand sewn and hand quilted. It took some 18mths to complete. Of course, it was going to be a much larger quilt, but common sense prevailed. It accidentally turned out to be a bit of a colourwash quilt. Originally, I was using up all my little scraps of pastels in light to medium tones, then a friend gave me a whole bunch of 1/2" hexagons because she grew tired of doing them. The ones my friend gave me were of a much darker breed, so I decided to start in the middle with the light ones and then graduate out to the dark. Tommorrow I am off to Sydney with a girlfriend to here. We will have to be up at 4.00am and on the road by 5.00am to get to the Brisbane airport. Exciting stuff. 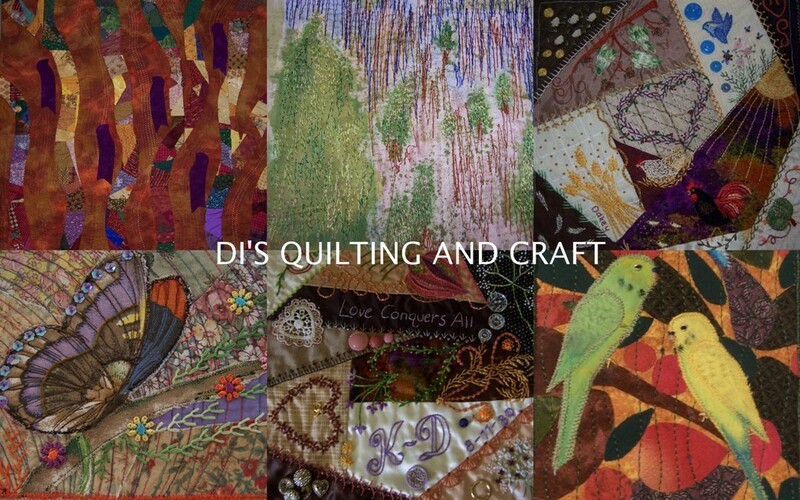 Looking very forward to seeing the quilt show winners and checking out the Japanese Textile Art. I will blog all our travels when we return.